And I do love that bowl. I think I actually squeeked when I saw it in Cleary's, in Dublin, a while ago. 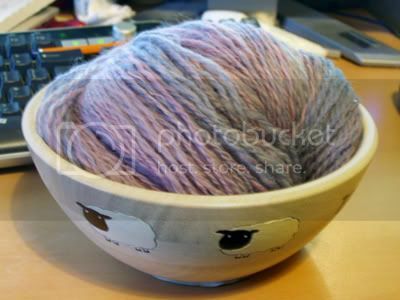 I also have a cow and a pig bowl, but they're not so good for modelling yarn!